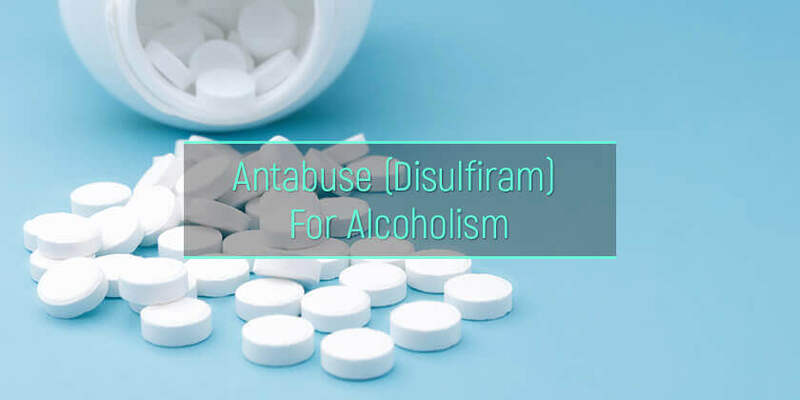 Disulfiram Antabuse is a medication that is used to treat people with alcohol use disorder. It helps alcoholics maintain sobriety by causing several unpleasant effects when mixed with alcohol. The treatment is useful because it discourages people with a drinking problem from consuming alcohol. However, disulfiram is not meant to be used as the only treatment for alcohol abuse. Antabuse is effective as an integral part of a comprehensive treatment for alcoholism, including inpatient and outpatient rehab and detoxification. How does Antabuse work? Let’s find out more about treating alcoholism with this medication, its effectiveness, and the correct method of use. Does Antabuse really help alcoholics? What are the side effects of Antabuse in the absence of alcohol? How to use Antabuse properly? Are disulfiram implants effective and safe? Definition: Disulfiram is a synthetic compound that is used to discourage people from abusing alcohol. This medication acts as a deterrent for alcoholics and supports their efforts in remaining abstinent. Antabuse is most effective in people who have completed rehabilitation for alcohol use disorder and are motivated to quit but are struggling with temptations to drink. Drug Class: Disulfiram is a carbamate derivative that increases acetaldehyde levels in the blood if alcohol is ingested after administration of the drug. Therefore, disulfiram MOA is by inducing unpleasant symptoms that discourage drinking. History: The disulfiram-like reaction in combination with alcohol was discovered incidentally by a Danish pharmacologist, Dr. Erik Jacobsen, in the 1940s. Dr. Jacobsen was studying the drug for its vermicidal action but discovered it had unpleasant effects when combined with alcohol. The idea to use this medication to treat patients with alcohol use disorder was floated but did not meet with much interest. Disulfiram was approved for use in 1948 and came into full-fledged clinical use for alcoholism treatment in the 1950s. More than half a century later, Antabuse is a frequently prescribed deterrent in people with alcohol dependence. Currently, disulfiram is used to support chronic alcoholism treatment in rehab centers in the United States and around the world. These symptoms occur because disulfiram inhibits an enzyme called aldehyde dehydrogenase. This leads to an increased level of acetaldehyde in the blood, which produces undesirable effects. Antabuse is effective in treating alcohol dependence because it discourages an alcoholic from drinking. The anticipated ill effects are a deterrent when there is a temptation to drink. The disulfiram reaction occurs even with small amounts of alcohol. This is the only alcohol-aversive drug that does not affect the nervous system but rather acts by producing unpleasant physical symptoms in combination with alcohol. Disulfiram is unique because the avoidance of drinking by an individual is based on anticipated adverse reactions if mixed with alcohol, rather than the pharmacologic effect of the drug itself. How long does Antabuse stay in your system? The medication can remain in the body for up to a week or even more. Antabuse half-life is 60-120 hours, i.e., the blood concentration of the drug falls to half in this amount of time. A meta-analysis of 22 studies found a higher success rate with the use of this medication compared to control groups in open-label trials. The analysis also found disulfiram is superior to naltrexone in terms of efficacy. Randomized controlled trials including more than 1,500 patients found that compared to a placebo Antabuse has a positive effect on short-term abstinence. It increases days until relapse and reduces the number of drinking days in recovering alcoholics. An analysis of 24 outcome studies found disulfiram reduces the quantity of alcohol consumed and a number of drinking days, although there is no good evidence to support implantation. One study in preoperative patients found Antabuse treatment to be superior to behavioral interventions in reducing alcohol use. In addition to its use as an alcohol-aversive agent, other disulfiram uses include potential as an anticancer drug. It is also being repurposed as an antibacterial agent for Staphylococcus. It is believed to reduce the frequency of binge eating episodes but may produce side effects. There are several Antabuse side effects that can occur even without the use of alcohol. Besides, there are disulfiram contraindications in people with the myocardial disease, coronary occlusive disease, and psychoses. It is also contraindicated in people with hypersensitivity to certain chemicals used in pesticides and the rubber industry. Mixing certain substances, such as Valium and drinking, can be dangerous. Similarly, in addition to the predicted Antabuse reaction to alcohol, there are some serious health risks associated with the use of this medication. It is a well-established cause of potentially fatal liver injury, which is why it is not recommended to obtain Antabuse over the counter or use it without advice from a healthcare professional. The same works for Naltrexone as well – such medications shall be taken if prescribed only. Dosage: The medicine is available in tablet form for oral administration. It comes in dosages of 250 mg and 500 mg. The usual disulfiram dosage is 500 mg once a day for one to two weeks, followed by a lower maintenance dose of 125 mg to 250 mg daily that can be continued for months to years. In contrast, Campral dosage usually needs to be taken three times a day. Antabuse Cost: The drug costs approximately $900 for 100 of the 250-mg tablets and about $1,400 for 100 of the 500-mg pills. It is possible to buy Antabuse at a discounted price through patient assistance programs sponsored by pharmaceutical companies. Routes of Administration: In addition to oral tablets, this medication can be implanted under the skin or into a muscle. However, unlike some other alcohol prevention medications like Vivitrol, there is no Antabuse injection. Never administer disulfiram to a person who is in a state of alcohol intoxication. Do not give this drug to anyone without their knowledge. Do not use Antabuse until a person has abstained from alcohol for at least 12 hours. The medication should be used only after alcohol detox symptoms have subsided during addiction treatment. Disulfiram can be taken with or without food. It should be taken regularly once a day in the morning. If it causes drowsiness, it can be taken before going to bed. Avoid mixing disulfiram with certain cough medications that contain alcohol. It can be dangerous to buy Antabuse online and use it without medical supervision. Is Antabuse Implant Safe for Alcoholics? The Antabuse effect of unpleasant symptoms has made it a widely used treatment for alcohol abuse. Many people are interested in a method of administration that overcomes the need for daily pill intake and adherence to oral therapy. Implantation of disulfiram tablets was first described in the late 1960s. However, this method is not preferred by many people as it involves an invasive approach. An incision needs to be made under local anesthesia and a pouch created to insert the Antabuse tablets. Also, the effectiveness of this method remains questionable, possibly due to incomplete absorption. Exposure or extrusion of the implant can result in cessation of treatment and patients may require second implantation. Some individuals may experience wound complications. A German study found that despite being well-tolerated, there is an alcohol relapse rate of 55 percent during treatment with this medication. A study in Japan found supervised Antabuse dosage of 200 mg daily was ineffective in increasing abstinence from alcohol. The authors concluded that further studies are needed to prove the efficacy of this drug as an effective pharmacological treatment for alcohol dependence. 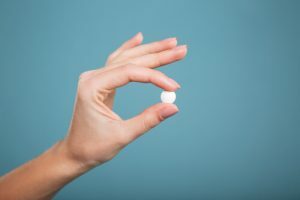 Some experts believe that acamprosate and naltrexone have better safety and efficacy profile and may be preferable in people with preexisting liver disease or comorbid mental health conditions. Should One Use an Antabuse Pill? Although disulfiram and alcohol together produce sufficiently unpleasant symptoms to discourage drinking, this is not a miracle cure for alcoholics. It is also not a treatment for withdrawal symptoms. Chlordiazepoxide for alcohol withdrawal is a more appropriate treatment for acute symptoms during detox. Effective treatment with Antabuse requires proper motivation and appropriate supportive therapy at alcohol rehab facilities. Participation in group therapy is a major predictor of treatment success, reinforcing the need for a multimodal approach in the treatment of alcohol dependence. Disulfiram is an effective way to enforce sobriety in chronic alcoholics. Its ability to produce unpleasant symptoms is evidence-based and scientifically proven. For this reason, if a loved one is being treated with this drug and claims the medication is ineffective, do not believe them. Anyone who says they can drink without consequences while taking Antabuse is likely disposing of the tablets without actually taking them.